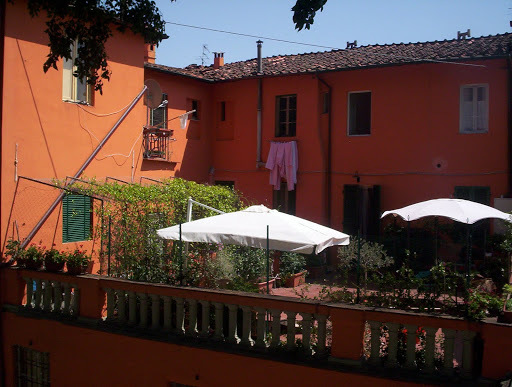 When I was in Italy, my roommate and I were told to visit Lucca, take the train and rent a bicycle to ride around the city. We were thrilled about our adventure and upon arrival in Lucca, went to a local market to make a picnic lunch for ourselves. We got water, fruit and an amazing barley salad with all the flavors of summer – cucumbers, tomatoes and fresh herbs with lemon. After we gathered our meal and rented bikes, we set off for our epic adventure. Thirty minutes later we made the whole loop and were back where we began. Not exactly the strenuous ride we expected, but lovely none the less. The barley salad was worth the trip, so here, I try to recreate it as best I can. Take this one to a park and enjoy in the sunshine – oh, and don’t forget your helmet. You can use any type of grain you prefer – try out oat groats. You’ll probably be able to find them in the bulk section of health food stores, such as Whole Foods. 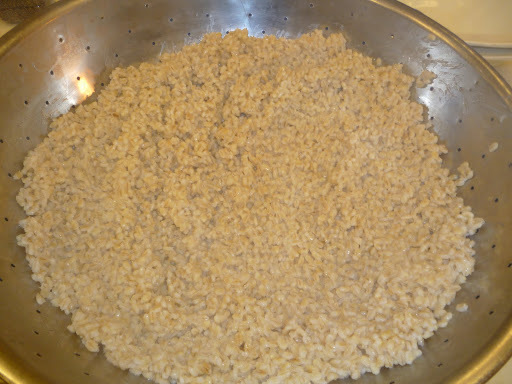 Oat groats are the entire oat, before it’s cut into various shapes/sizes (such as steal cut). They are chewy like barley, but have have less calories and easily digestible. 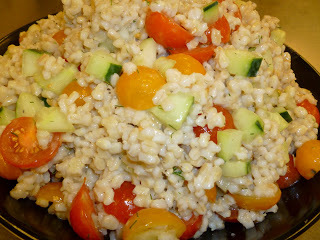 Thanks for the recipe, Christina, the barley salad was delicious. What a great summer dish!